Dr. Shakur Hamidi-Toosi received his B.A. and M.D. degrees in 1973 from Shiraz University in Iran, where he continued his medical training in ophthalmology until 1977. He then trained as Clinical Fellow in Pediatric Ophthalmology and Eye Muscle Disorders at Baylor College of Medicine and Texas Children's Hospital in Houston between 1977 and 1978. 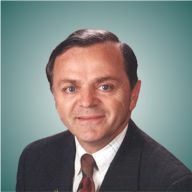 Dr. Toosi continued his postgraduate education as Clinical Fellow in Pediatric Ophthalmology at Wilmer Ophthalmologic Institute of Johns Hopkins University in Baltimore, Maryland, from 1978 to 1980. Dr. Toosi joined the academic staff at the Department of Ophthalmology of the University of Virginia, and served as Assistant Professor of Ophthalmology between 1980 and 1985. He then joined Medical & Surgical Eye Specialists in the Tidewater area. Dr. Toosi's special interests are in the diagnosis and treatment of adult and children's eye muscle disorders, pediatric ophthalmology, corneal and cataract microsurgery, and laser refractive procedures. He is an Associate Professor of Ophthalmology at Eastern Virginia Medical School and and has served as the Chief of Ophthalmology at the Children's Hospital of the King's Daughters. Dr. Toosi has published several scientific papers, and he is a frequent lecturer in clinical ophthalmology. He has also served as a panel member in scientific meetings. He has Active Staff privileges at Sentara Leigh Hospital, Sentara Bayside Hospital, Sentara Norfolk General Hospital, Chesapeake General Hospital and the Children's Hospital of the King's Daughters. Dr. Toosi is certified by the American Board of Ophthalmology. He is a Fellow of the American Academy of Ophthalmology, a Fellow of the American College of Surgeons, a member of American Association of Pediatric Ophthalmology and Strabismus, a member of the American Society of Cataract and Refractive Surgery, a member of the Virginia Society of Ophthalmology, and a member of the Medical Society of Virginia. He is an active member of Rotary International and is involved in several civic and community services. Dr. Toosi resides in Virginia Beach. He is married and has three grown children. His hobbies are tennis, biking, swimming and other water sports.